Can software commit perjury? : Is There A Problem Here? : Can software commit perjury? 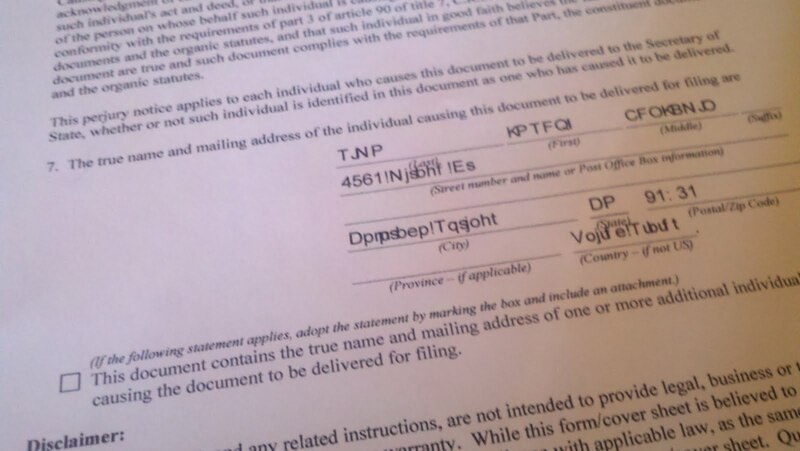 The PDF document generated by the online filing system shows something different than what I submitted to the state. That's not my name and address.